As marketers one of our primary challenges is our ever-growing task list. With so many "to do's" it's become hard to focus on writing content. Creating quality content requires focus, but that doesn't mean you should rush through your to do list or ignore all your other priorities -- instead your tools should adapt to the changing environment today. 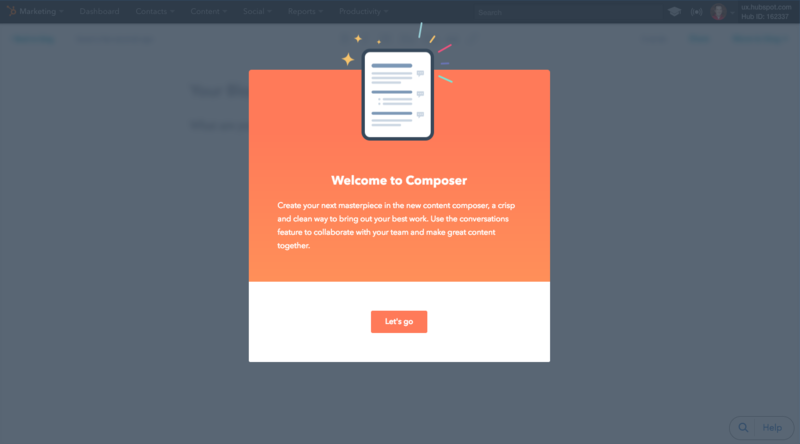 Composer, a brand-new writing and collaboration tool within HubSpot allows you to easily focus on what matters, creating great content. From the moment you open up Composer, you'll see a brand new interface that is inviting to write in. 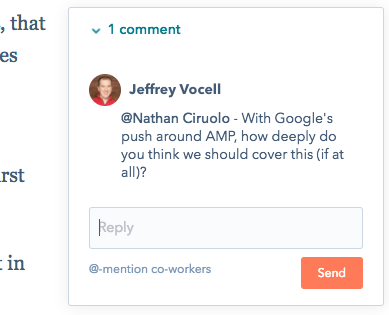 As you're writing, you can leave comments for colleagues and have conversations directly within your draft. As you write your draft content you can leave comments and ensure your blog post is ready to optimize, and then publish. Mention colleagues by @ mentioning them and they will instantly receive an email with a link to your draft content. Want to invite someone that's not a member of your HubSpot account? No problem. As long as you're an administrator just list their entire email address and we'll automatically add them as a 'Marketer' within your account and link them to the draft. Ready to get started composing content? Jump-in and try it out.